We offer Ultrafiltration Plant, which is designed by using advanced technology with the purpose of removing micro bacterial counts. As a renowned Ultrafiltration System Exporter, we cater to the requirements of clients cross the world for Industrial Filtration System. 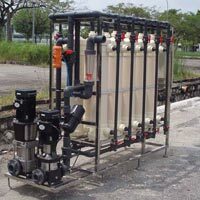 Our Ultrafiltration Control System, as an advanced Industrial Filtration System is used as a pre treatment to the existent reverse osmosis plants. This system is highly admired by our clients and we have even received positive feedbacks from them. Today, we are counted amongst the well-known water Ultrafiltration Plant Exporters from India. The system proposed by Mahir Technologies Inc is with the best inputs like KOCH membrane in Ultra filtration, which is the heart of the system. KOCH is the worldwide leader in Membranes, especially UF hollow fiber membrane, which is ideally required for post to DM for removal of organic matters. The Ultrafiltration Plant that we make available for the clients is developed and designed as per the international quality and standard. 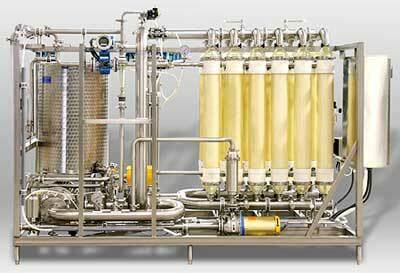 Our Ultrafiltration Plant is highly efficient for the filtration of water at a very short span of time.